The perfect patio dinner, no grill required. These were a crowd pleaser and so easy to make! Preheat the oven to 400 degrees. Begin with a large skillet and over medium heat brown the sausage (about 3 minutes). Add in the onions, chopped orange peppers, and celery. Saute for 4-5 minutes, or until vegetables are soft. Add in the cooked quinoa, season with salt and pepper, and cook for for 3 minutes. Remove from the heat and stir in the green onions. Cut tops off of the 4 medium sized peppers and core them. Fill the peppers with the mixture with a spoon. Place the caps back on the peppers. In a shallow pyrex place peppers standing side by side and add enough water to cover the bottom. Bake peppers for 30 minutes. Enjoy! 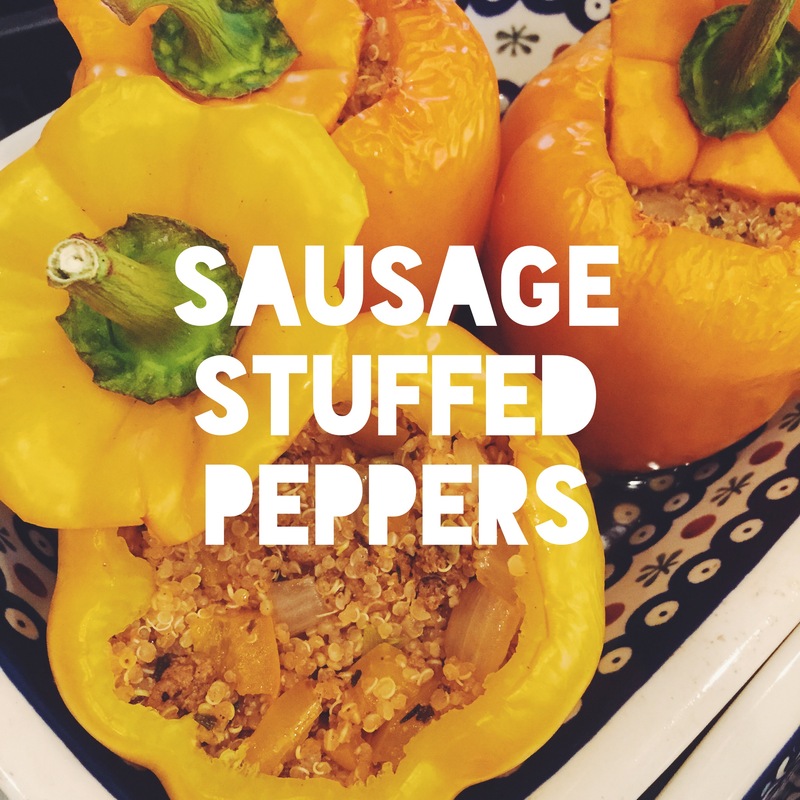 This entry was posted in cooking, dining and tagged peppers, sausage stuffed peppers, summer dinner. Bookmark the permalink. Tip: Shave a very small bottom piece of the pepper perfectly to properly position the pepper on the pan. It stands straighter!